One of the tricks to losing while still enjoying your favorite foods is to get rid of the extra calories in your favorite foods while still keeping the “comfort food” aspect. If you give it some thought, you will most likely find many “food switching tricks” to do this with your favorite recipes and cultural comfort foods – or even your favorite fast foods. Going out to eat does not have to stop just because you are attempting to lose weight. What trying to lose weight does mean is that you have to substitute one meal for another, or one side for another. This might not mean that you get your favorite meals, but this does not mean you have to eat only salads. 1. One big calorie savings for me was to buy an air popper for pop corn. You can, if you want, sprinkle it with something flavorful spice like chili powder or another favorite spice, or even a product like Molly McButter if you miss that buttery flavor. This switch is good when you want something savory and crunchy. 2. At Papa John’s Pizza, you can save 50 calories a slice by ordering the Thin Crust Pizza with Pepperoni (260 calories a slice) instead of the Original Crust Pizza with Pepperoni (310 calories a slice). Every little bit helps! 3. Chili’s Restaurants make a wonderful onion dish called the Awesome Blossom and serve it with an great sauce. But, even if you share it with three friends, the calorie count is very high. You would be better off getting an order of onion rings at a fast food joint to get that “onion” craving out of your system. 4. At Wendy’s if you want to save calories and are getting tired of always having to chose Chicken, you will be happy to know that you will save 300 calories if you order a Junior Cheeseburger instead of a Chicken Club Sandwich. That will be a big help when you’re looking’ for the beef! 5. At Quizno’s Subs, their Baja Chicken small sub with cheese and dressing weighs in at 490 calories whereas their Chicken Carbonara small sub gives you a calorie boost to 570 calories! A saving of 80 calories! 6. Craving cheese but think you must always give it up? Not so at Applebee’s. You can save 805 calories by eating their Tortilla Chicken Melt (from their Appetizer menu) instead of their Fiesta Lime Chicken. 7. At Auntie Anne’s Pretzels, if you go for an Original Pretzel at 370 calories you will save 80 calories over the Cinnamon Sugar Pretzel. 8. 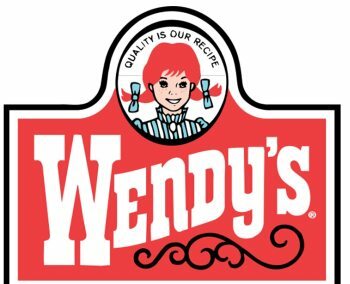 Back to Wendy’s! An easy way to save 250 calories is to have their Garden Sensations Caesar Chicken Salad instead of the Southwest Taco Salad. 9. At the world-famous White Castle, you can save 131 calories by swapping Mozzarella Cheese Sticks (169 calories) for their French Fries (300 calories). And, if you substitute the Double Bacon Cheeseburger (360 calories) with the Double White Castle burger (290 calories) you will save another 70 calories. 10. I love Del Taco, and there are wise choices that can be made here, too. For example, if you chose to have a 1/2 Pound Green Burrito (430 calories) you will save 620 calories over the Macho Combination Burrito (1030 calories)! Also, their fantastic Chicken Taco Del Carbon (170 calories) is a better choice than their Steak Taco Del Carbon (220 calories). 11. Next time you order a salad, try swapping from “grilled chicken” to “blackened chicken.” At most places, this will trim down your meal by several hundred calories, especially if the dressing is “on the side” as opposed to on the salad. 12. Ice cream is often one of the first things to go on a diet. By swapping ice cream flavors–even within the same delicious brand–you can save yourself hundreds of calories next time you snack. Remember to watch your portions. 13. Burger King offers their dieters a smaller box of chicken tenders. This has 580 fewer calories than the Tendercrisp Chicken Sandwich. Be careful though, this is not including toppings and sauces. 14. Next time you go out for ice cream, consider getting soft serve, rather than a malt. You could save as much as 700 calories! This is not including any toppings, and the toppings will then add more calories to the treat. 15. 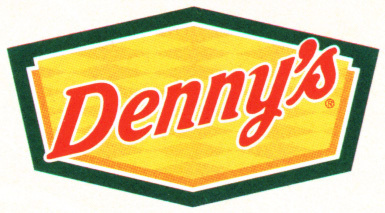 The buttermilk pancakes at Denny’s could also save you more than 800 calories when you pick them over some of the other breakfast alternatives, such as the French toast. This is again without toppings, including butter, syrup or jams. 16. When getting pancakes or French toast, consider getting sugar free jam to go on the meal instead of syrup and butter. This will help to reduce the calories significantly. 17. Starbuck’s Coffee is too good to give up, so instead switch the milk from whole milk to skim and eliminate the whipped cream. Ask for the sugar free syrups instead of the sugary syrups. 18. Subway is overall healthy, but it can be made more healthy by swapping the bread from Italian Herbs and Cheese to Flat Bread. 19. Taco Bell is rarely healthy, but by ordering the meal Fresco style. This means the cheese and sauces on the meal are cut out, but the meat and flavor is still there. Tomatoes and seasoning are still available with this style. 20. Olive Garden’s Italian foods can be made healthier by swapping from boring Spaghetti and Meatballs for Linguine al Marinara for a total savings of 710 calories. Don’t be afraid to eat out at your favorite food establishments, just order intelligently. These different foods do not cause you to sacrifice flavor, but rather opens you up to a whole host of different, healthy foods. Hopefully this will help you stick to your weight loss goals and be healthier. Enjoy your time eating out with friends and family while not feeling guilty about your weight loss program with these and more food switching tricks.